We know what your students want. They want a fast-paced show full of music and action, using current and up-to-date material. It's that simple. The Osborn Experience provides all that and more! Your high school post-prom or dry graduation party attendees will not only get current, up-to-date skits and music, they'll also get our one-of-a-kind sound and light show! You won't find anything else out there like our show, guaranteed! We work hard to make sure that our show is fast-paced, current, and above all, fun! We're constantly adding new music, new pop culture events, and new routines to our show to make sure you'll never see the same show twice! Don't settle for a show that has material they've seen before. Don't settle for old music or out of date skits. Don't settle for a hypnotist that does the same show over and over. Book The Osborn Experience for your high school today and let us show you why we're constantly rebooked at post-prom and dry grad events by high schools like yours year after year! Let us educate and entertain your high school or college students! Our school assembly programs are fun, entertaining, and educational. 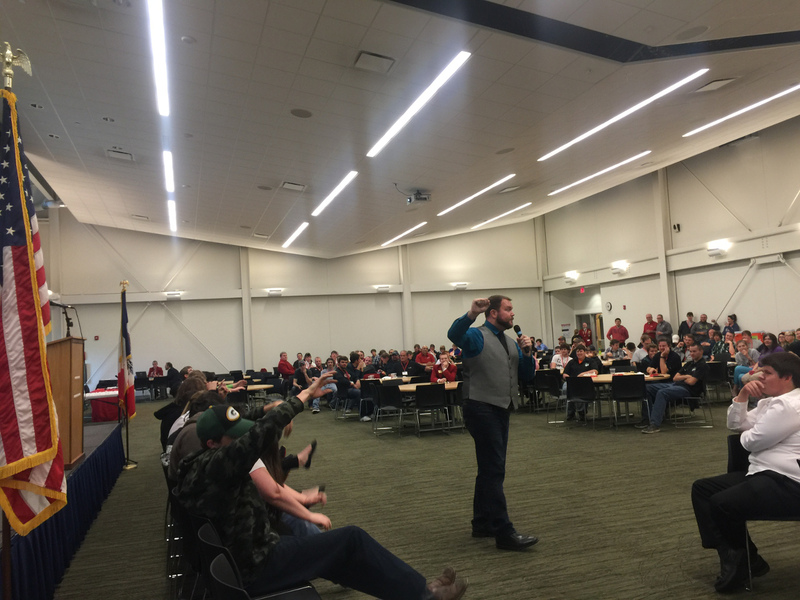 We can use the comedy hypnosis show setting to include messages about programs your high school already has in place, or design something completely new for your college! We can use our show as a vehicle for programs on drug or alcohol abuse, anti-bullying, study habits, focus, or any other topic you're promoting in your school. Or...maybe you just want to have an assembly to blow off some steam after finals, celebrate senior week, or another school event. Whichever you choose, The Osborn Experience is a perfect complement to any high school assembly or college educational program! We know what a challenge it is to bring in entertainers and shows that college students want to see. With the internet and the popularity of platforms like Instagram, Whisper, Whatsapp, and others, it's a headache to keep track of what college students want and what they like. The Osborn Experience is a great choice for college events because we're on top of it! We're constantly scouring media for new trends, memes, music, and events that we can put in our show. Our #1 goal with our show is to be relevant to your college students. We want to be the show they ask for again and again, so we make every effort to keep our show fresh and up-to-date. 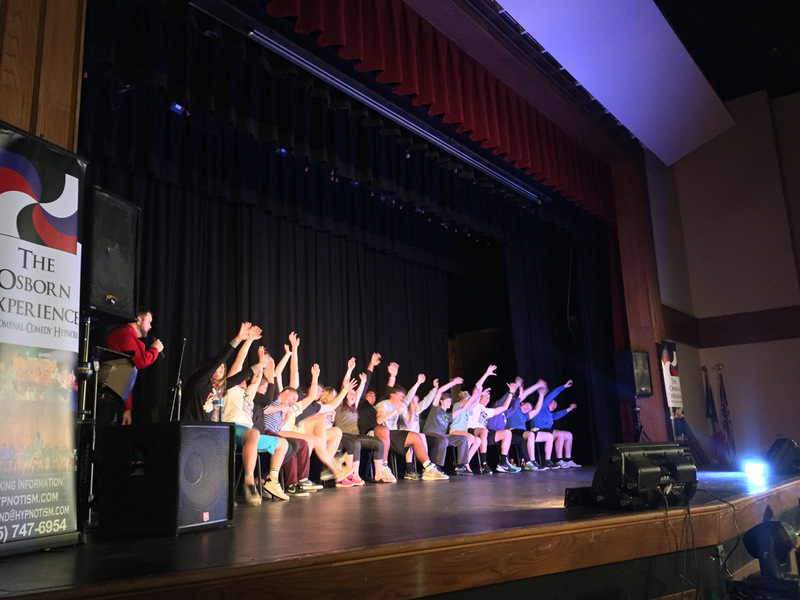 In addition to being the first choice for entertainment slots on campus, The Osborn Experience is perfect for those campus-sponsored events like welcome week, parents' weekends, housing entertainment, senior week, graduation entertainment, and more! Take your fraternity/sorority events to the next level with a show from The Osborn Experience! Our show is perfect for parent's weekends, little sibs events, fundraisers and philanthropy events, and mixers! Imagine having a Las Vegas-style show at your next Greek event! The light show, the music, the hilarity...it fits perfectly! Whether you're looking to fill your charity coffers or provide entertainment that's off the hook for your next mixer, you can't go wrong with a show from The Osborn Experience! Our Past Clients Love Us! We've worked with groups like Phi Theta Kappa, Future Business Leaders of America (FBLA), Future Farmers of America (FFA), Business Professionals of America (BPA), SkillsUSA, Post-Secondary Agricultural Students (PAS), and more to bring our unique brand of entertainment to their events and conventions! We're booked again and again by these high school and college groups because our show is always fun, exciting, and fits with their events. If this is you, don't hesitate to contact us to see what we can do for YOUR group. Cory's performance was fantastic! Students were still talking the next day about how much fun they had and about how the show was not like other hypnotists they've seen in the past!